Manchester United ace Paul Pogba has been reportedly handed a ban from playing basketball by the club, as they believe shooting hoops is aggravating the Frenchman’s hamstring injury. Pogba is currently sidelined with a ‘long-term’ hamstring injury, as described by United boss Jose Mourinho, and has flown to the United States for the treatment. 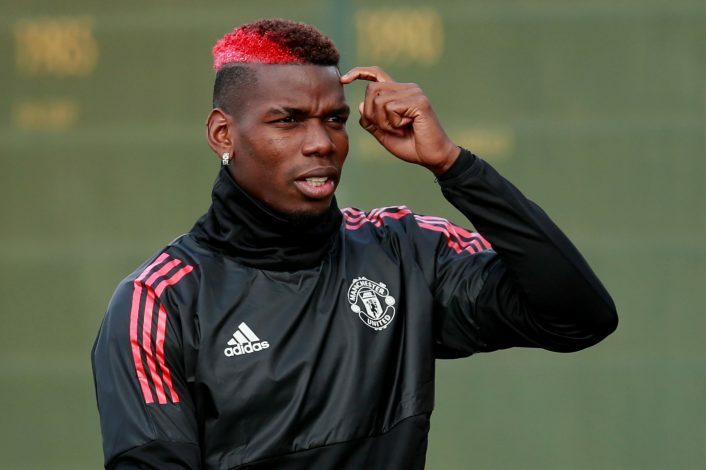 However, the 24-year-old’s love for Basketball is keeping him indulged in action even while he’s off the football pitch, and in turn, the Red Devils’ medical team, who fear that slam dunking is contributing to Pogba’s injury problems, have slapped him with a ‘Basketball Ban’. According to the report from The Sun, it is believed by the Old Trafford club that playing basketball is having a negative impact on Pogba’s recovery. The club fears that their star midfielder is at risk of muscle strains, and that the sport is having a damaging impact on his knees and ankles. The Frenchman is a huge NBA fan, and had posted a number of videos during his vacation time prior to the start of this season, playing the sport along with former Everton striker, Romelu Lukaku. But this time around, Pogba, who puts his faith in a personal trainer instead of the United medical staff, has been strictly instructed to stay off the court due to his injury. Furthermore, Mourinho is believed to have discussed the former Juventus man’s off-field activity with his staff, as the Portuguese tactician is eager for his star’s return. Pogba’s hamstring injury is expected to keep him out of action until December.